I woke up with two thoughts: there are two victims of adoption who need help and not necessarily from each other: the adoptee and the first mother. Each has its own burden and neither can heal the other. 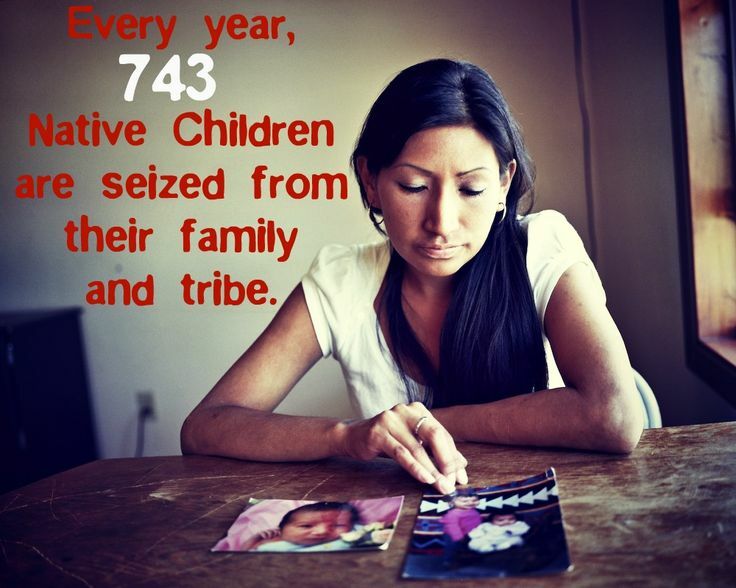 “Victim” is a word I don’t like to use but in the case of Native adoptees, it fits. 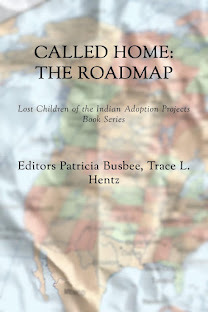 The adoption projects and programs in North America (US and Canada) intended to wipe out an entire population of Indian children by assimilating them (making them white) using closed adoptions. 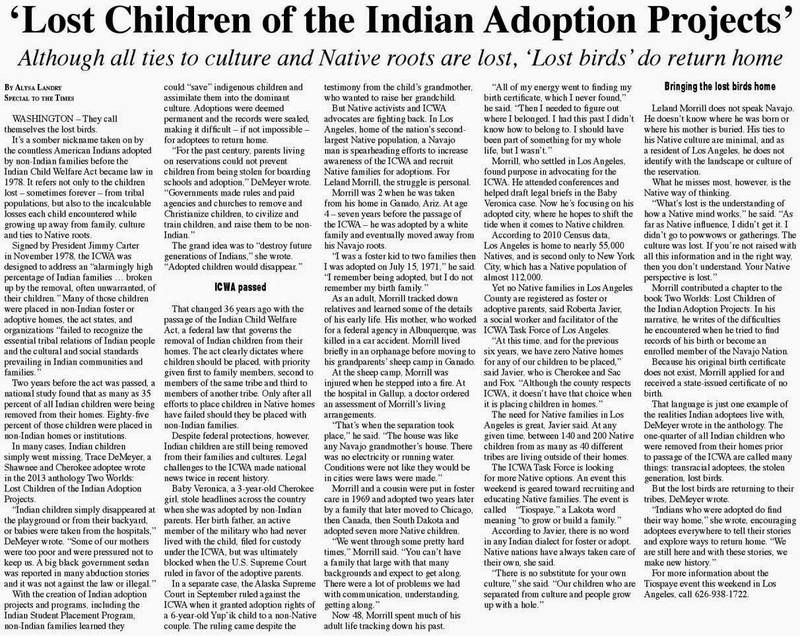 It was officially called the Indian Adoption Projects – but Canada and many states had their own programs like New York State’s “Our Indian Program” and the Mormon’s own Indian Adoption Program. How do you damage or destroy a culture? You abduct and claim their children as your own. In adoption terminology, we are called transracial adoptees because we were raised outside our culture, in our case First Nations and America Indian territories. We’re raised by non-Indian parents, far from the reservation. That would certainly destroy any contact and connections to our first families. With a closed adoption, no one would ever be able to find anyone, right? It failed. My second book Two Worlds (published in 2012) is an anthology filled with adoptees that are living proof that the adoption/assimilation plan backfired. Adoption didn’t kill our spirit or destroy our blood. 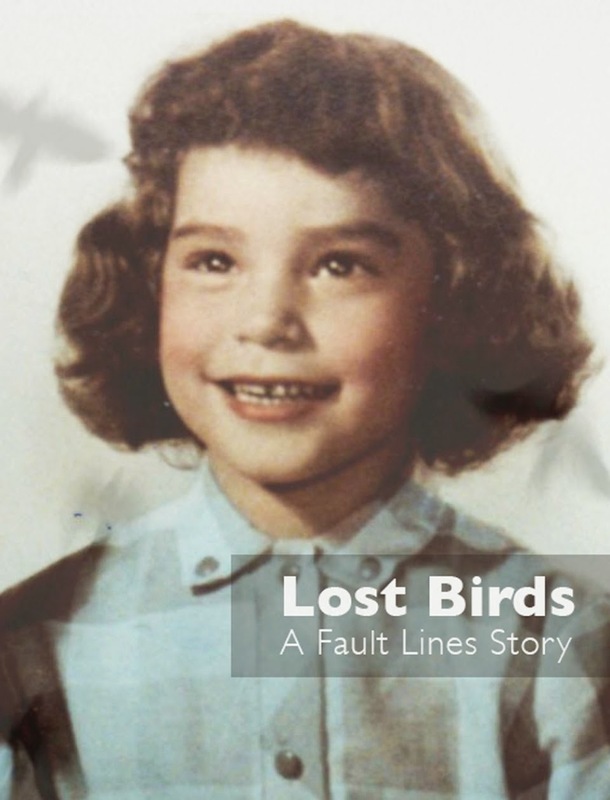 The adoptees in this book did reunite with their relatives and tribes, despite closed adoptions. Now with the amount of adoptees who’ve opened their adoption, including me, I’d imagine there would be more news and media coverage, right? No. Somehow the US adoption industry has its reputation and bankrolls to protect, and their jobs to protect, so they must protect their territory, control the message or lose their business. I see how it works. A young lady doctor from California said to me a few days ago, “I wish to adopt a child and save them from being an orphan.” I have heard and read those exact words before. The adoption industry has controlled that message and this mindset from their very beginning. This very nice doctor is young and open-minded so I asked her to consider that a child has its own name and ancestry – and would she consider becoming a legal guardian instead of an adoptive parent? I told her to get children out of the foster care system and if she could, raise as many children as she could afford. She is undoubtedly going to read up and do research, based on our conversation. In the old mindset and in many adopters’ minds, there are still orphans! Can they imagine each baby has a mother and both are usually from a Third World Country, including Indian reservations in North American still plagued by poverty; and beyond that each baby has a country and relatives – so hardly anyone in the world is a true orphan! That very old mindset has not been altered since the early 1900s (or 1958 when I was adopted). That is how you control the message. This doctor is among thousands of people planning to adopt in the near future with no clue how adoptees feel about this – even in 2012. My point here is we have to do the work to change that mindset and control the message ourselves. We have to take to the streets and call lawyers and get lawmakers to open adoption records in every state. Until then, the adoption industry is winning and will still control the message. 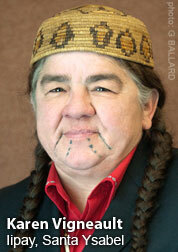 *No one had done a blog for American Indian Adoptees like this prior, by the way. I started research in 2005, wrote my memoir on this history, and then created this blog in 2009 with medical studies, ideas, news and updates. Thank you Mark, for that is the best compliment ever!